Aries (March 20-April 19) — You seem to be brimming with energy and can achieve great things this week, so long as you channel your passion constructively. Be wary of making rash decisions or rushing to judgment without knowing all the facts; let the voice of reason be your ultimate guide when it comes to throwing your weight behind a commitment. There may also be pressure on you to get involved in a fight that’s not really worth your time, and would distract you from more meaningful efforts. Don’t let it. Get your full Aries reading by Eric here. Taurus (April 19-May 20) — Keep in touch with your inner compass, and don’t lose sight of the path toward your ideals, however anarchic or topsy-turvy the rest of the world may appear. You understand the importance of retaining a sound ethical framework, particularly one that places compassion and empathy front and center: wisdom too precious to dispense with, perhaps more than ever in these strange days. Carry yours with you like a torch to light your way through any new territory you come across. Get your full Taurus reading by Eric here. Gemini (May 20-June 21) — There’s a lot of chaos in your surroundings at present, and at times it may seem to you as if everyone is collectively losing their minds. Despite this, you seem to have a firm grip on reality, which will likely only consolidate as the week continues. Part of this is because you currently understand yourself and your wishes well enough to move with autonomy and make informed choices without too much difficulty. Where possible, share this tranquility with those around you who may need a dose of it. Get your full Gemini reading by Eric here. Cancer (June 21-July 22) — Both the outer environment and your mental landscape are undergoing an alteration of some kind, and it may not be wholly clear which is adapting to the other, or perhaps whether the external change is more a question of perception. To a certain extent you need to let the flow happen, and avoid being fearful of unknown quantities based on the unfamiliarity alone. Every scenario has its ups and downs, and often there are benefits in change that are not necessarily easy to foresee as it works itself into being. Get your full Cancer reading by Eric here. Leo (July 22-Aug. 23) — If you get into a dispute with a loved one this week, regardless of the nature of the disagreement itself, make sure you act fairly toward them. That means trying as far as possible to resolve any issues privately and amicably, and to avoid resorting to pettiness or punitive behaviors, even if you think others might indulge in such things. Keep yourself honest and above reproach. Steer clear of any situation that might widen breaches for the time being. Look instead for what could build bridges. Get your full Leo reading by Eric here. Virgo (Aug. 23-Sep. 22) — As the week progresses, you may find you’re particularly sensitive to the tension around you. Relax as much as you can, and take a backward step from any situation where the conflict level appears to be getting out of hand, unless it’s specifically your responsibility to restore calm. If you need somewhere to invest your energy, focus first on the tasks that are immediately before you and which need to be completed, or on creating art: the world is invariably better off with a little extra beauty and soul. Get your full Virgo reading by Eric here. Libra (Sep. 22-Oct. 23) — Stephen King said that if you want to write you have to be prepared to do it behind a closed door. This is almost certainly true of any art one might undertake: it tends to require intense focus, at least during some phases; therefore distractions would ideally be shut out as much as possible. This means allowing yourself sufficient time and space to give your unique gifts their full expression, whether with the blessing of society or not. In this case, as with many things, what others think is a mere irrelevancy. Get your full Libra reading by Eric here. Scorpio (Oct. 23-Nov. 22) — Old family tensions or pressures may rear their heads again over the next few days. It may be possible to sidestep this issue by temporarily avoiding or reducing contact with those who might trigger a specific response in you, until the zodiacal energy surge has passed. Alternatively, you could bolster your will and refuse to give in to any efforts to manipulate you. Don’t strike an agreement until you’ve had the chance to review the terms objectively. As an adult, you are free to choose for yourself. Get your full Scorpio reading by Eric here. Sagittarius (Nov. 22-Dec. 22) — Your mind may be more versatile than usual at present, and you could find you’re blessed with extraordinary powers of articulation. If there’s a message you’re feeling the need to get across, now would be an optimal time — just remember that words carry power, and choose your approach to delivery with care. Also, don’t judge the success of your communication on its immediate effects. Those listening may well need time to absorb and reflect on what they’ve heard; make room for that to happen. Get your full Sagittarius reading by Eric here. Capricorn (Dec. 22-Jan. 20) — Potentially you’re feeling a little overwhelmed just now, like an introvert who’s accidentally wandered into a crowd. That may be due to pressure in your immediate surroundings, or a sense that a spotlight has been on you for longer than you’d like. Get some quiet time if you need to this week; however, be sure to keep going with any personal development work you’ve been doing, even if it’s tough at times: this is likely to be deeply important to your overall healing process and wellbeing. Get your full Capricorn reading by Eric here. Aquarius (Jan. 20-Feb. 19) — This week could be a big one for you in terms of focusing your self-knowledge and coming home to who you really are. At least some of that may be related to acknowledging parts of your identity without shame and without unnecessary concealment. Guilt is insidious, and you have no reason to experience any simply for being your natural, honest self, regardless of the way others might treat you. Their reaction is not your problem; the freedom to live openly is a simple human right. 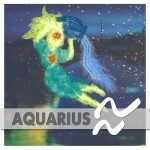 Get your full Aquarius reading by Eric here. Pisces (Feb. 19-March 20) — Vesta, the goddess of devotion and the hearth, is about to visit your sign, remaining until early April. This may cause you to feel somewhat set apart, as if you’d entered a monastery or other sacred retreat. It’s likely you have, or will develop, a specific purpose to which you need to give the majority of your time, and Vesta is offering the space for you to do precisely that. If you’re unsure what this endeavor is, first check in with your intuition and your dreams; if need be, ask the cosmos for direction. Get your full Pisces reading by Eric here.